Does The Movie "Bruce Lee, My Brother" Exploit His Popularity For Profit? 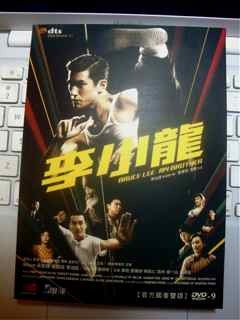 The movie ”Bruce Lee, My Brother” was released in 2010 for Bruce’s 70th birthday. The production was commissioned by his younger brother Robert and older sister Phoebe. Interestingly, right before the opening credits of the film this disclaimer was displayed: “…This production is in no way connected to or associated with BRUCE LEE ENTERPRISES, LLC, the widow, children or estate of Bruce Lee…” [emphasis mine]. Did his siblings just want to make a quick and easy buck off of Bruce’s name and used that disclaimer to protect themselves against a family legal battle? … But The Movie Was Great! It does NOT exploit Bruce Lee or sell him out. Also, you’ll be happy to see that there is NO mention of a Lee Family Curse (a hyped up myth of why both Bruce and his son Brandon died so young). And there is NO gratuitous or predictable use of Wing Chun, Kung Fu or Ip Man. If this is what you’re hoping to see in the movie, you’ll be let down (however there are good fighting and action scenes). On the other hand if you’re a real fan and want to know more about him… the real him, not the paparazzi-movie-persona, then you’ll enjoy and appreciate this movie. It’s a pseudo-coming-of-age movie. It’s about young people living and loving, getting in trouble with parents, keeping and losing friendships… and it all happens during a quaint moment in time (1950s Hong Kong), which only exists in the nostalgic memories of grandparents and black and white photos. The added benefit, of course, is that this movie is about Bruce Lee. We see his childhood, upbringing and his adolescent life… something that’s rarely discussed. You see his family influence, (not his widow or children) but instead his two brothers, two sisters, his parents and the extended family he lived with (Bruce’s father provides for and feeds 30 mouths!). You’ll be happy to know that there is action! There are fight scenes and cuts of him training Wing Chun, but that’s not the focus of the film. And that’s appropriate because even if you’re a martial artist and love Wing Chun and kung fu, it’s probably not the only focus of your life, right? We see Bruce Lee as a three-dimentional human being, not just a kung fu movie star on a poster. Overall, this is a touching movie. It has some feelings of the film “Stand by Me”, and maybe at a stretch… the classic “The Outsiders”. It’s a period piece about young people that happens not too long ago. You’ll enjoy this film, your kids can watch it and you can even take your special someone to see it on a date. Have you seen this movie? What's YOUR opinion of it? Just start typing!... add any optional information like pictures or your name... check the box about the guidelines... enter the anti-spam security word... then click the Submit Your Contribution button.